By a long way the most challenging hole on the Golf Course. 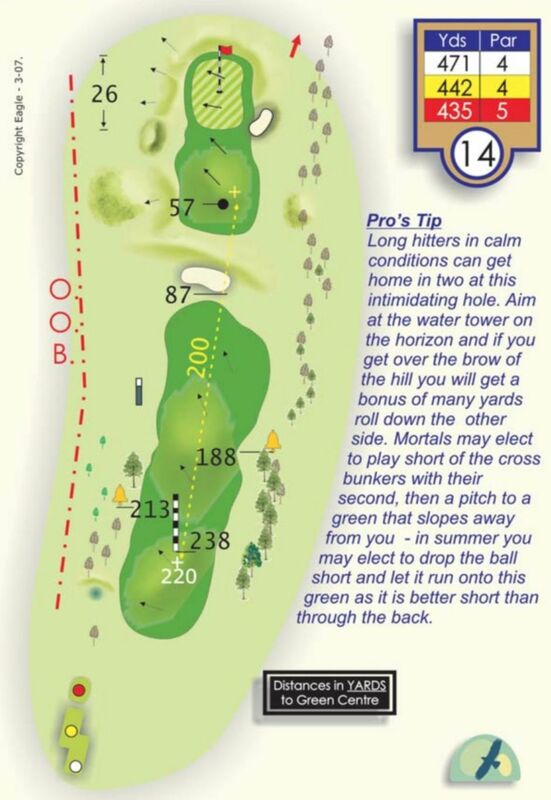 Measuring 471 yards from the Competition tee, you will need to arrow your tee shot over the brow of the hill favouring the left side of the fairway. If you are not long enough from the tee you will be faced with a long iron or fairway wood to a sloping green guarded by bunkers. You will feel like a star – if you make par !!! !